I'm Morley Safer. 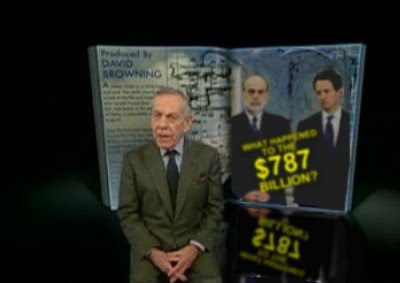 They told us they needed $787 billion to fix the economy -- $2,500 for every family in America. But unemployment continues to skyrocket and many wonder: what happened to the hundreds of billions of dollars? When we investigated, we found that no one really knows. And the corruption, graft and criminality we discovered were surprising -- even for us. I'm Steve Kroft. Barack Obama authored an amazing autobiography called Dreams from my Father. 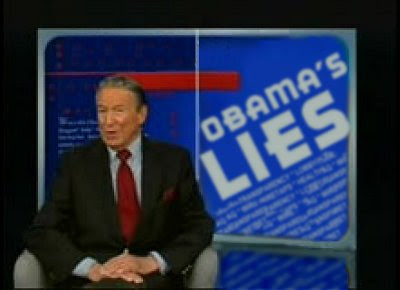 But one man has unearthed overwhelming evidence that Obama didn't actually write his own book. And the name of the real author might surprise you, he says: Bill Ayers. 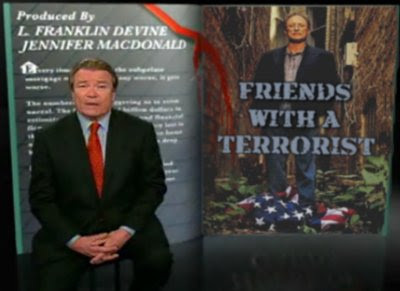 The domestic terrorist and one-time neighbor to the President. And I'm Mike Wallace. The promises were grandiose. Transparency. No lobbyists in the White House. Leaving Iraq. Ending NSA wiretaps. No more 'wars of choice'. Post-partisanship. But the realities have shaken even the President's most committed supporters. Now Democrats are asking: is the President a serial liar? That and Andy Rooney, tonight. 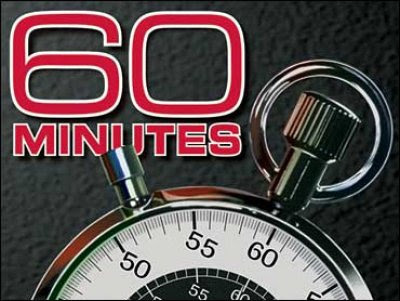 On 60 Minutes. Linked by: Six Meat Buffet. Thanks! It would crash the network !!!!!!! Any ice cream in Hades??? Next best thing to pigs flying in a cool hell is the Chris Wallace interview with Jon Stewart. Well worth the segment. Mask meet gravity! Sorry you had such a 'horrible' nightmare last night! Get well soon!! !